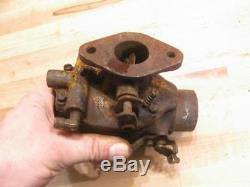 Vintage John Deere M MT 40 320 330 Tractor Marvel Schebler TSX 245 Carburetor. 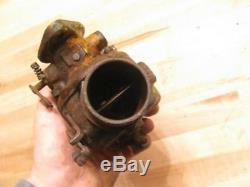 I have for sale here a Carburetor that I think is for the tractors listed above. All the linkage moves good. No cracks or broken parts. Help yourself to a great deal! Local pick-up is always welcome! Please feel free to contact me if you have any questions! Local Pick-up is always welcome! Please note that I will hold paid items for up to 90 days. After 90 days, any items not claimed will be considered abandoned. Most of the Items that we sell. We do our best to describe our products as accurately as possible. You are looking at Items listed by Davey's Salvage. We are a small family run business located in Central Michigan. We do Demolition, Junk Removal, and also clean out Houses, Farms, and Businesses. Our listings include a wide variety of Products....... From Antiques and Auto Parts, Collectibles, Household, and Tools. 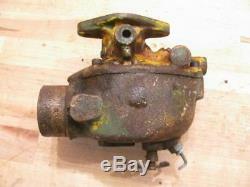 We specialize in a wide variety of antique Tractor Parts! We do our best to reply as promptly as possible. Thank you for your Business! Get Supersized Images & Free Image Hosting. Create your brand with Auctiva's. Attention Sellers - Get Templates Image Hosting, Scheduling at Auctiva. 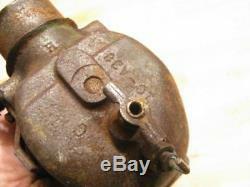 The item "Vintage John Deere M MT 40 320 330 Tractor Marvel Schebler TSX 245 Carburetor" is in sale since Monday, October 22, 2018. This item is in the category "Business & Industrial\Heavy Equipment, Parts & Attachments\Heavy Equipment Parts & Accessories\Antique & Vintage Equipment Parts". 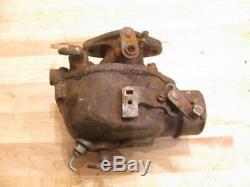 The seller is "daveysalvage" and is located in Farwell, Michigan.